As we ring in the new year and bid the holiday season goodbye once more, we face one of the least-enjoyable financial moments of the year: opening those holiday credit card bills! If you overspent during the holidays on gifts, travel, and party planning, take heart- you’re not alone! 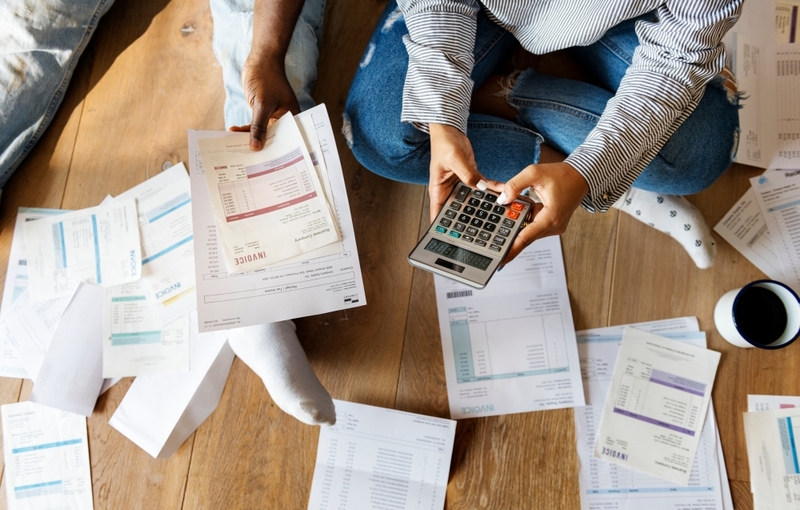 Many people find themselves at the business end of the post-holiday blues after taking a cold, hard look at their spending during the past month. If you are one of the millions of people whose New Year’s resolution is to reduce or completely eliminate your debt, we have compiled some tips to help you consolidate your bills, pay down debts more quickly, and recover from the financial strain you may be feeling now that the holidays are through. When it comes to debt relief, one size does not fit all. Depending on how much debt you’ve racked up, your credit score, and whether you are currently up-to-date on your payment can affect your options for debt consolidation. It’s essential to understand the various debt-reduction channels that are available to you, so you can choose the one that makes the most sense. Some common debt reduction options include a consolidation loan from your bank or credit union, a credit card balance transfer, or more drastic options, like a Chapter 13 consolidation bankruptcy. Unless you are completely unable to pay back any of your debt, are undergoing a significant financial hardship such as unemployment or divorce, or are unable to qualify for a loan due to a low credit score, it’s best to select an option that helps you consolidate your debts without completely blowing up your credit for years. In order to pay off those exorbitant credit card bills from holiday spending, it’s wise to create a spending budget to help you put larger amounts toward your debt consolidation loan. Your budget may force you to give up a few creature comforts, such as an expensive morning latte at your local coffee shop, or going out for lunch or dinner each day, but tightening your belt now will allow you greater freedom from debt in the future! Creating a budget to allow for larger monthly payments is especially beneficial if your credit union has extended a low-interest or zero-interest loan payable in a certain number of months. The faster you are able to pay off your debt consolidation loan or credit card balance transfer, the more likely you are to avoid escalating interest fees, so you can recover from debt much more quickly. It’s easy to start feeling a little depressed when faced with an abundance of large credit card bills, but try not to let it get you down- after all, debt recovery isn’t as difficult as you think! You are far from the only person who has ever gotten into holiday debt, and you sure won’t be the last. Your White River Credit Union team member can lay out all your debt recovery options, help you choose the right plan for you, and give you the confidence and tools you need to kiss that debt goodbye! All you have to do is take the first step and contact White River CU for help with debt consolidation- it’s that simple! Holiday debt got you down? White River Credit Union can help! We specialize in providing the best possible debt recovery solutions for our Enumclaw residents. It is our mission to help you successfully consolidate and eliminate the burden of debt from your life so that you can enjoy a secure financial future. Call us today at (360)825-4833 to get started on your debt consolidation journey.